1. Who is Beverley Eikli? I'm one of those incredibly fortunate people who was born with a disability - being unable to walk properly - and then was 'fixed'. At seven, I was the first child in the world to undergo a new ground-breaking operation which redesigned my left hip, enabling me to walk and run like the other kids in my class. I'm sure that had a big influence on my personality and made me more accepting of whatever curve-balls are thrown my way, though I can't think how much luckier I could have been in my life. 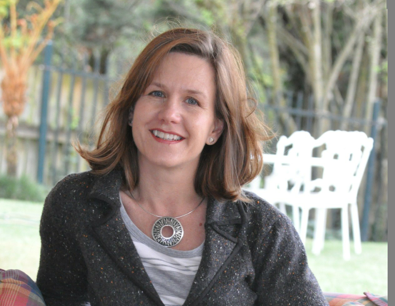 I grew up in the mountain kingdom of Lesotho, with loving parents and a wonderful Masuto nanny called Francina and her three little children, so even though where we lived was so remote my younger sister and I had lots of attention and playmates. We moved to Australia when I was five but on a return visit 20 years ago to Botswana, where my father was born, I met and married a handsome Norwegian pilot. As my darling husband's 'trailing spouse' I've had the most exciting and adventurous life, living and working in 12 countries and cities, including Namibia, Botswana, Norway, Greenland, French Guiana, Solomon Islands and Japan. We've been settled for the past five years in a pretty town north of Melbourne, Victoria, and have two beautiful daughters aged eight and twelve. 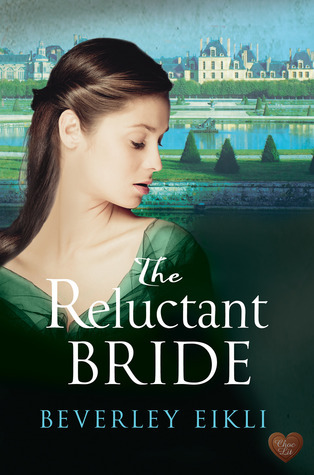 As one reviewer puts it, The Reluctant Bride "has a slow boil. It starts as a romance story and ends in a fantastic mystery/action storyline." So if you enjoy the darker side of Regency life and are looking for a gripping, suspenseful page-turner with a tortured, conscience-stricken but self controlled hero determined to protect his 'reluctant bride' from a truth he fears will destroy her, then this is the book for you. 3. You mix together spies, romance and suspense. What was the inspiration behind this book? 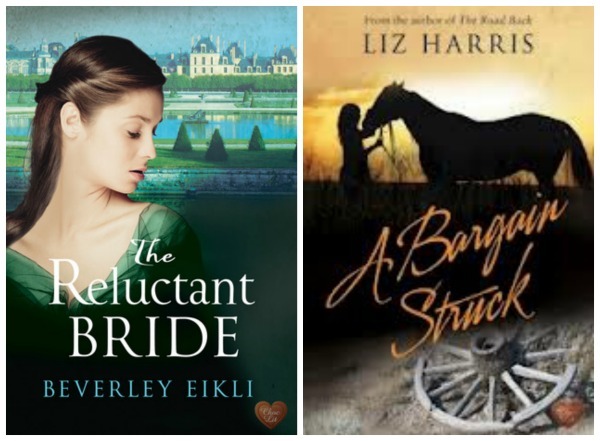 The Reluctant Bride first won Romance Writers of New Zealand's Single Title Competition six years ago but I put it on the back burner while I wrote five other novels and novellas, published by Robert Hale and Total-e-Bound. At that stage The Reluctant Bride encompassed a six month period in 1812, several years after the 1809 Retreat to Corunna which is where my hero, Angus, faces his life's nightmare. He's still burdened by guilt when he meets Emily and as she's in need of rescuing, he sees an opportunity to atone for his past. When I returned to writing the book after some years I realised I needed to know a great deal more about my heroine, Emily's backstory, which meant immersing myself in the violent and bloody events of the French Revolution, particularly the September Massacres of 1792. I did enormous amounts of research on Robespierre and a variety of revolutionaries to decide which personalities my heroine's family would have associated with so I'd know how these influences would have played out 20 years hence, when my book starts. When The Reluctant Bride won Choc Lit's Search for an Australian Star competition I was over the moon. Choc Lit focusses on the hero's Point of View and I loved the fact that their 'tasting panel' thought Angus as honourable and compelling a hero as I did. Within the next few days I'll be starting on edits for my March 2014 release The Maid of Milan. I took a bit of a risk with this one - some readers will hate it when they get to that point, but to say why would be a spoiler - however I believe that the only unbreakable rule in a romance is that it has a Happy Ever After and that what happens along the way is just that - 'it happens'. As long as the characters can come to terms with it and find their HEA, then I've done my job. If only the men had not been childhood friends. Thank you so much for having me here today. I've really enjoyed it. I was born in London. After graduating from university with a Law degree, I decided to see the world and I moved to California. It seemed a pretty good place to start, I thought. I went there for one year, but stayed for six! As you’ll realise, I had a brilliant time there, leading a very varied life, from waitressing on Sunset Strip to a stint as 'resident starlet' at MGM to working as secretary to the CEO of a large Japanese trading company. Eventually, though, real life intervened, and I returned to Britain, did a London University degree in English and taught for a number of years, during which I contributed weekly articles on education to a local newspaper. By way of hobbies, I love reading - naturally - and I'm nuts about the Daily Telegraph Cryptic crosswords. I also like language and travel. 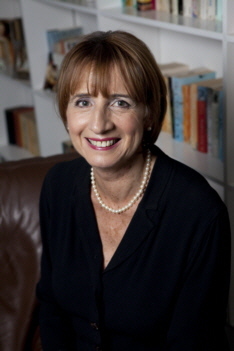 In addition to my novels, I've written several short stories, and in my non-writing hours, of which there are few, I'm the organiser of the RNA’s Oxford Chapter, a member of the Oxford Writers' Group, and I was on the committee organising the HNS Conference, 2012. My two sons live in London, while my husband and I now live in South Oxfordshire. 2. Three great things about A Bargain Struck. I'm trying to suppress my typically British nature, which makes me instinctively recoil from promoting myself - ahem - and I'm going to force myself to be truly honest when telling you about three of the many great things about my novel, an historical novel set in Wyoming 1887. When I read a book, the first thing I thing I want to find is a story. So when I write a book for others to read, the first thing I make sure about is that I have a really good story. 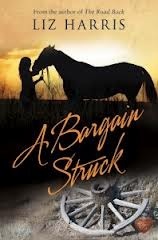 There’s a strong story in A Bargain Struck, which is true to the period and the characters to whom I gave birth, which will engage your emotions and make you want to turn the page. Secondly, what’s the point of reading an historical novel if the details are so inauthentic that they jar and the characters are modern characters in all but name and garments, I always wonder. I loved researching the background to my novel to ensure authenticity, so much so that I forced myself to go to Wyoming and stay in a working ranch at the foot of The Rockies, surrounded by hunky wranglers. The sacrifices we authors make! The third great thing is the strong romantic element in A Bargain Struck. I think the idea of mail order brides in the American west is so romantic, and when the widower ordering the bride is as gorgeous as Conn Maguire, a second generation homesteader in South Wyoming, well, I’m quite lost for words. Or almost. 3. There is sure a difference, between your last book and your new one. Did you always want to write a Western romance? Yes, The Road Back, a split era novel, set in the 1950s and 1995, and located in both London and Ladakh, is a very different sort of story on the face of it. It’s historically authentic, though, just as is A Bargain Struck, and the characters in both novels are complex in the way that real people are. In neither book are the characters cardboard cut-outs, and the emotions both books elicit in the reader are very real emotions. But the American West is much more laid back and casual than London, certainly, for all there’s a strict divide between the work of the sexes, and the tone of A Bargain Struck is of one romance and the wide open plains of Wyoming, where men are men and women are … that does sound like a cliché so I’ll stop here. As you’ll see from the bit about me, I used to live in the US. I love the place, and when I heard a radio article about mail order brides in Russia, which gave me the idea for the novel, locating it in Russia didn’t grab me, but the idea of Wyoming did - mail order brides were prevalent in Wyoming in the mid1800s - and that was that. In a month’s time, I’m going to start on another western novel. This will tell you how much I enjoyed writing A Bargain Struck, and how reluctant I would be to leave the world of Conn, Ellen and Bridget. I shall shortly be submitting A Far Place to Choc Lit. I’m in the final stages of editing it myself – I don’t like handing in rough drafts. The idea for the story came from a number of those who read The Road Back. I’ve had a great many letters from readers, several of whom have asked what happened to the missionaries’ son, Peter. In A Far Place, I tell them. Many thanks for inviting me to talk to you today. I do hope that you enjoy both of the books, Felicia. A lot of fun with writing fiction is taking risks. They're not risks we might personally take but it's fascinating to explore the impact on a character that you sympathise with. It's nice, I confess I'm curious about the story. The second cover is really nice. Thanks for the interview! Beverley and I both share the same cover designer at Choc Lit. We are very lucky to have such a talented designer, and also to be allowed input into our covers. This doesn't always happen with authors and publishers. That was a pleasure. Thank you so much for featuring me. I've just returned from a day in London and found our interviews, Blodeuedd. Thank you so much for inviting me to join Beverley in this blog - it was great fun to do. Both books sound great. Thank you for the giveaway. These books sound great and I love your story. You had one of those things that you wouldn't wish on anyone but wouldn't deny the value of the lesson. So glad you had a successful surgery! Thanks Melissa. I'm so lucky I can just put it down to 'experience' though if the hip op hadn't worked out I'd still be able to do what I love best: write. Wonderful interviews, and I am curious about both books (series) Thank you for sharing them! Many thanks for your comment, Kim. If you do read the books, I hope they give you as much pleasure as we had in writing them. Wow, congrats on the award. And amazing to hear about your hip. Thanks, Melissa, for your congratulations. I agree - a slow boil can make the romance seem all the more worthwhile, sometimes. these sound fantastic! Thanks for the fun post! Many thanks for taking the time to comment, Erin. A pleasure, Victoria and Erin. I love author interviews, they really give you a taste of the author as a person and they tell you more about the book than the blurb ever could. Thanks for sharing! I've never thought of it that way, but you're absolutely right, Alise. Thank you for commenting. I suppose you're right, Alise. The personality of the writer will maybe give some clues as to how they'd approach the story. I hadn't thought of it like that before. Thank you for dropping by to comment. Good interviews of two interesting authors! That's very kind of you, Mary. It's lovely to share a blog with Beverley. Although she lives in Australia and I live in England, we met when we went with our publisher and some of the other Choc Lit authors to the RT Booklovers' Convention in May. We had such a good time that we'll be going to the convention again next May. It'll be in New Orleans this time, which is an exciting prospect. Thanks for your comment, Mary. And Liz, thank you for yours:) It was so wonderful to be able to travel from Australia to the US and meet a fellow Choc Lit author from the UK. I'm looking forward to New Orleans next May. Perhaps you'll be there, Mary. Very good interview. Thanks for sharing the book and the giveaway. Thank you, Gayle. I was thinking how we'd sound if we were verbally interviewed. Liz has the most wonderful English accent and I'm Australian. Thank you Emi. I wish you the best of luck, then. (I think it's a randomly drawn winner.) And if you do win I hope you love it. Thanks for sharing B, Beverley & Liz! Both books sound wonderful. Great to meet both authors here. The Reluctant Bride looks like a very interesting and emotional reading. I like it! Both books sound really good. I would love to read either one. Thanks for this chance.